Aguanko's "Elemental" Tops "Sweet Sixteen"
It is no surprise that "Elemental" the new CD by conguero/composer Alberto Nacif and his magnificent ensemble "Aguanko" topped WEMU's "Sweet Sixteen" from January 7th through the 13th. We will always support great regional talent along with international music figures, but Alberto Nacif means more to WEMU than just great regional talent: he is family. Today's "Cuban Fantasy" program on Saturdays at 7PM grew out of an interview that Alberto did with evening jazz host Michael G. Nastos many years ago. 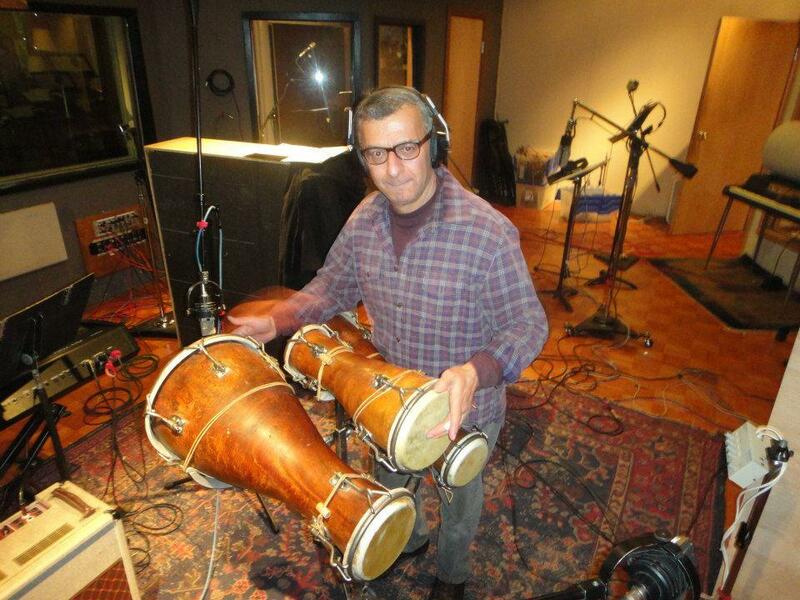 Alberto hosted "Cuban Fantasy" for quite a while and finally turned the program over to Marc Taras when he wanted to pursue his own musical ventures. The result of that decision is "Elemental". This recording will cement Alberto Nacif's position as a respected international musician. He has performed in many countries and with legends such as pianist Frank Emilio Flynn. However, "Elemental" will be the charm to put his name on the lips of Latin jazz lovers all over the world. In typical Alberto Nacif fashion, he will tell you that the group is a collective and that credit should go to all involved in the project. I concur. He has chosen the cream of the crop of regional players to interpret his thoughtful original music: percussionist Pepe Espinosa, pianist Wesley Reynoso, trumpeter Paul Finkbeiner, saxophonist and flutist Russ Miller, trombonist Chris Smith and bassist Patrick Prouty. The band is augmented by guests Javier Barrios on timbales and reedman Paul Vornhagen on a few tracks. When the ensemble performs their CD release concert Friday, January 18th at Kerrytown Concert House, the main band will appear. This is not the first time that this band has performed in Ann Arbor. In October 2012, they were our "5:01 Jazz" band. I encourage you to read the article and interview by Marc Taras for the show. I also encourage you to support local talent by not only attending the concert, but by purchasing a copy of this vital, elemental music. There is much to recommend about "Elemental". The balance of ballads to bright, catchy tunes is perfect. The photos and graphics are sensitive and elegantly artistic. And, the recording quality is stellar. As I listened, I recalled the crystalline audio quality of Dizzy Gillespie's "Fiesta Mojo". Try the comparison and I think you'll hear what I mean. I think you'll hear "Elemental" by Aguanko on WEMU for years to come. in the Ann Arbor Holiday Inn (Plymouth Rd. and US 23) Also see Marc Taras Interview with Dr. Alberto Nacif below. WEMU and Sesi Motors present the 5:01 First Friday Series dedicated to the memory of the late Dr. Jan Winkelman. As an interpreter of Latin jazz, percussion master Nacif fronts his own ensemble that is more horn driven, adapting post-bop standards while adding a few originals.